The 16mm. film of the Pranksters swimming at the Colored Beach at Lake Ponchartrain has been preserved on the "Looking For a Cool Place" video. 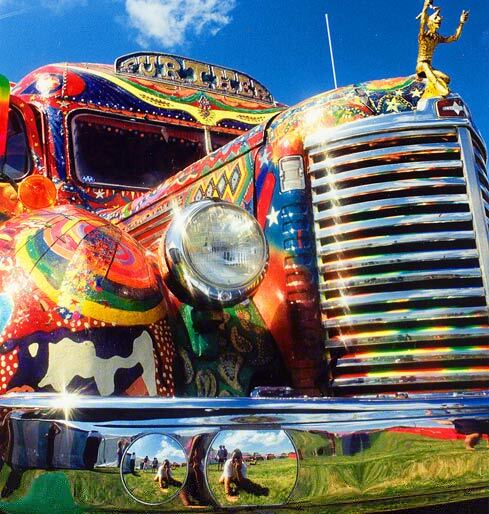 Alabama had quite a "Midsummer's Night Dream" when Kesey and his Merry Band rolled across the Mississippi line on about June 21, 1964. Impressions of Alabama are included in Tom Wolfe's THE ELECTRIC KOOL-AID ACID TEST. 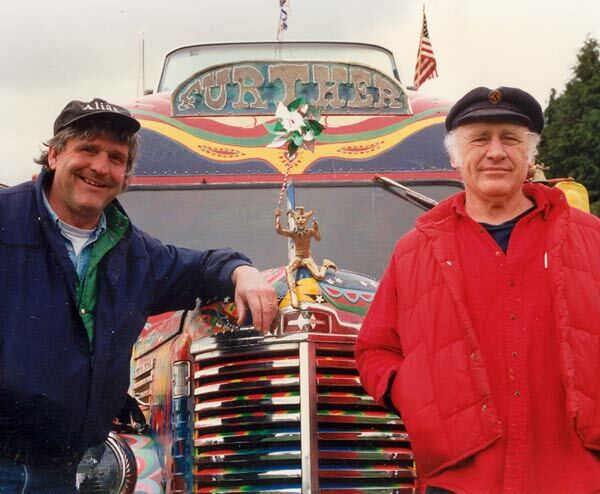 Publicity concerning Kesey, Cassady and the Merry Pranksters trip through the Deep South in the summer of '64 produced by the New Orleans, Biloxi/Gulfport, Mobile and Pensacola media would be appropriate this month. Please feel free to forward this to anyone. me how to play Black Bird from the Double white album. Thanks for the email. We'll pass it along to Bobby. By the way, in the photo with John Rainey Adkins and the beer, the guy on the left is Bill Gilmore. to replace the founding bassist Walter Eaton after he was injured in a car crash in May of 1969. Gilmore became popular for co-writing the Billy Joe Royal smash "Cherry Hill Park"
with long-time friend, Robert Nix in 1970. He remained with Dennis through 1975, when they signed off from their MGM record contract and management deal, making him the only other person other than Eaton to be with Yost's group for the longest period of time. His talent and contributions towards the band earned him the reputation of being one of the finest musicians around. Bill will never be forgotten. except who are John Adkins & Billy Gilmore?" 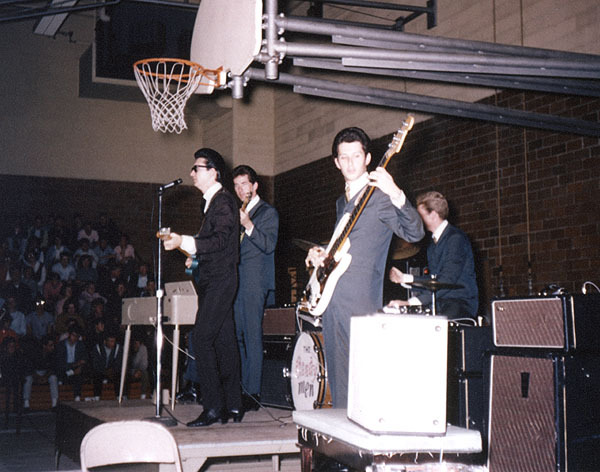 Shawn is friends of these deceased musicians families who were members of Roy Orbison's backup group "The Candymen". Both played on his hit "Pretty Woman", and both had success as songwriters; Gilmore's big hit was "Cherry Hill Park" for Billy Joe Royal, both wrote a fair amount of songs for the groups of the Atlanta '60s scene. John Rainey Adkins was born December 31, 1941 in Dothan, Alabama. Growing up in the 1950's, John Rainey was influenced by the early rock ‘n roll classics of Elvis, Jerry Lee Lewis, Ricky Nelson and others. Soon after picking up the guitar, in his early teens, John formed the group "The Webs" and made some early recordings at Ed Boutwells studio in Birmingham. This helped launch the career of a shy singer whom John had hired named Bobby Goldsboro. Appearing at the "National Peanut Festival" in the late 60's in Dothan, "The Webs" got the opportunity to backup Roy Orbison in his show. Roy was so impressed he hired the boys on the spot as his touring band "The Candymen". John Rainey played lead guitar with Roy for 7 years touring the world and opening for such acts as The Beatles, The Hollies and The Yardbirds. John played the now famous lick on Roy's biggest hit "Pretty Woman". He also appeared on network television shows such as The Ed Sullivan Show, Shindig and others. After leaving Roy, John and The Candymen struck out on their own and gained the respect of their professional peers as a "Musicians Band" by doing flawless reproductions live on stage from "Sgt. Peppers" to Tom Jones. 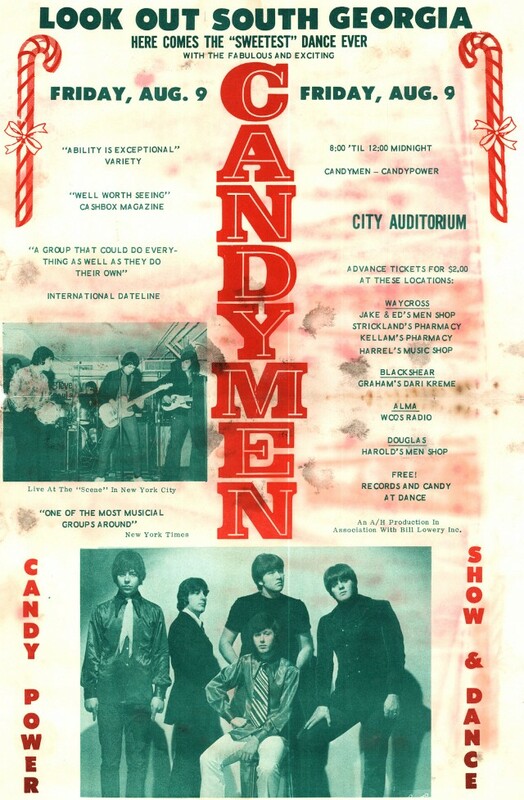 John Rainey and The Candymen (which would later spawn members of the hit groups Classic IV and The Atlanta Rhythm Section) dazzled audiences at Steve Paul's "The Scene" in New York City. These nightclub sets included jam sessions with Jimi Hendrix Band, The Young Rascals, John Entwistle and others. John Rainey also wrote or co-wrote most of the material on The Candymen's two LPs including "Georgia Pines" with Buddy Buie. In the 1970's John once again toured the U.S. and abroad playing guitar behind B.J. Thomas. During this time he also appeared on network television on The Dinah Shore Show and The Midnight Special. After being influential in the musical careers of so many, John Rainey had settled down to concentrate on his song writing and being a devoted father and grandfather. John had just finished co-writing "Shenandoah's" first single and was signed with Tree Publishing at the time of his death at age 47.